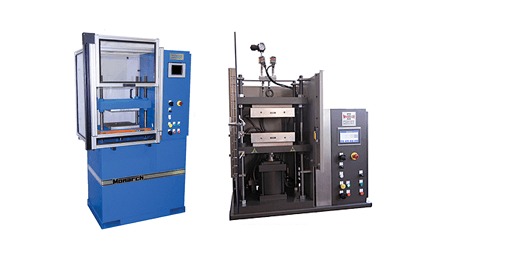 For more than 100 years Carver hydraulic presses have been the standard for laboratories around the world. Carver Model C presses alone are in use in more laboratories than any other press. The current Carver line has been expanded and improved with more sizes, options, features, and quality performance than any other line presses. 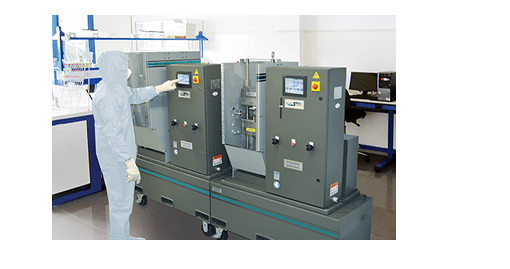 Standard choices now include two-column and four-column, bench top and floor standing, and manual and automatic presses with clamping capacities from 12 to 100 tons. 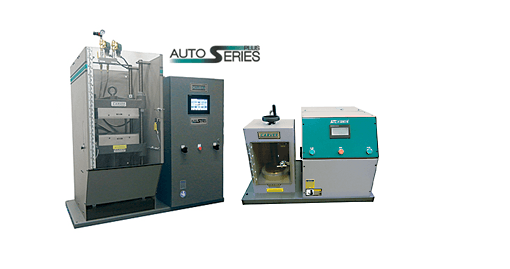 Automatic "Auto Series" presses include user-friendly control system and integral safety enclosures. Accessories include new self-contained, electrically operated AutoPak hydraulic power unit for retrofit to existing manual Carver presses. Materials research: ceramics, composites, construction materials, cosmetics, drugs, pharmaceuticals, powder metals, printed circuit boards, rubber, silicone and other elastomers, soil, thermoplastic resins and thermosets. Quality and performance testing of physical properties: compression strength, flexural strength, shear strength, flow and color dispersion. Lab testing: ASTM test plaque or bar molds for polyethylene and polypropylene. Other applications: composite molding, compression molding, crushing, encapsulation, extrusion, forming, insert pressing, producing KBr pellets for infrared spectroscopy, metal forming (dimpling), insert molding, oil extraction, pelletizing, specimen preparation, splice molding, splitting chilled oils, transfer molding, and vulcanizing rubber stamps. 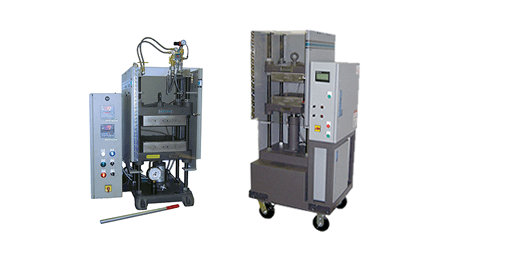 Special presses dedicated to specific applications include ASTM test plaque or bar molding, pellet making (KBr specimens for infrared an x-ray spectroscopy), laminating and rubber stamp molding. 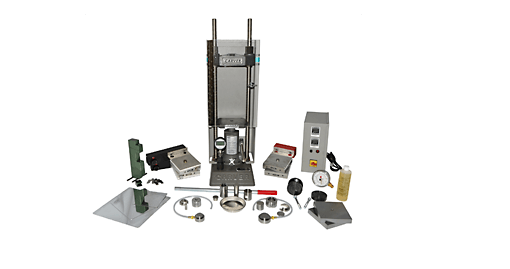 In addition to the model shown on this web site, Carver designs and manufactures a wide variety of custom made presses and accessories to suit your specific application. Please consult the factory for any equipment not specifically listed on this site. Our sister company, is the premier source for production presses. To access more information on Wabash MPI, go to www.wabashmpi.com.